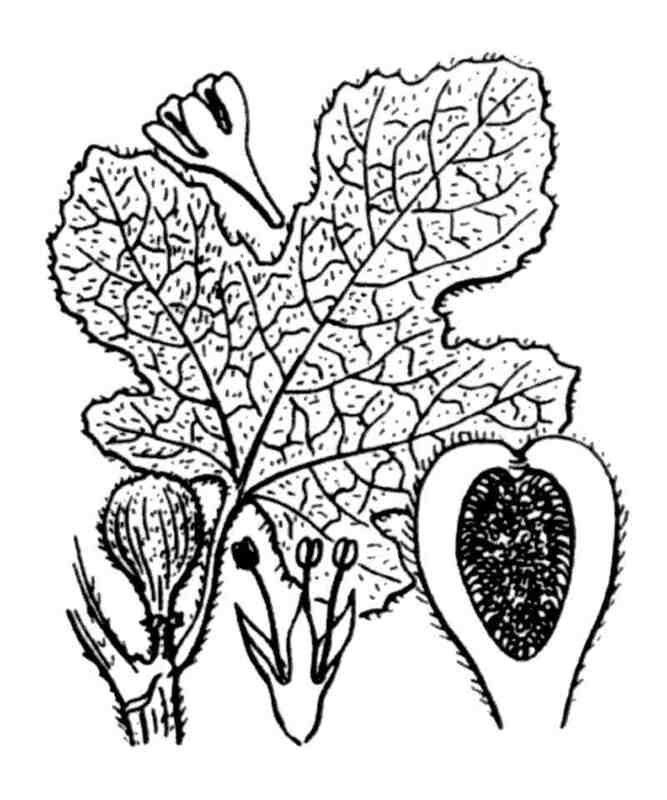 Arbuste de 2-5 mètres, odorant, à suc laiteux abondant. Écologie : Rochers et bois, dans tout le Midi et l'Ouest; Corse. A gynodioecious deciduous tree or large shrub , growing to a height of 7-10 metres , with smooth white bark . 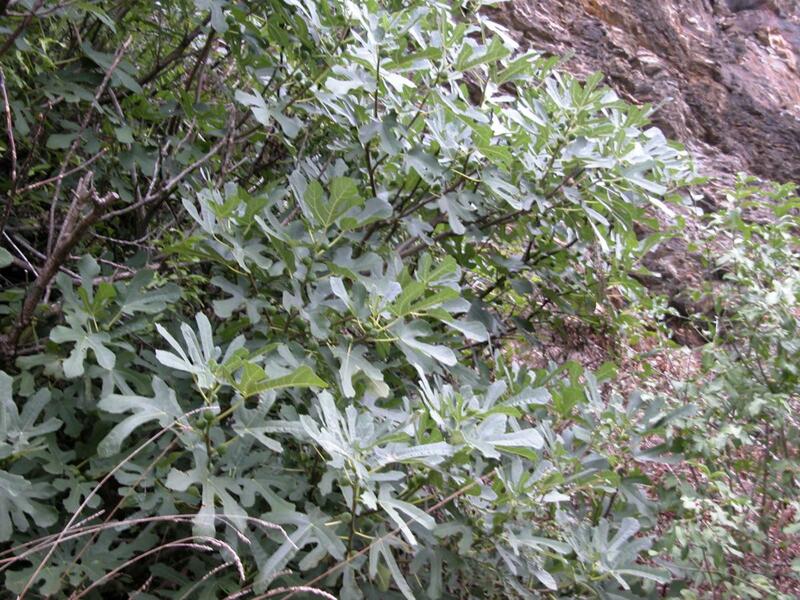 The plant has milky sap which is an irritant to human skin. Floraison France : Juin-septembre. 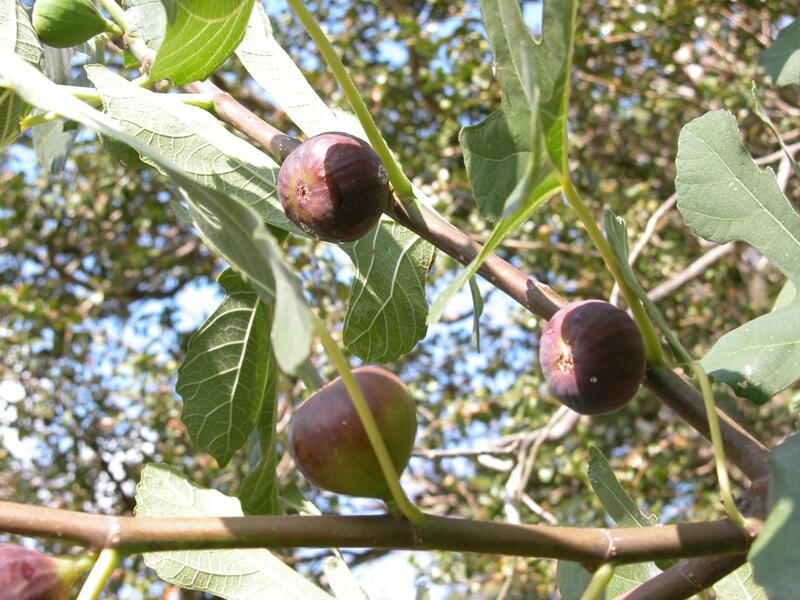 - Cultivé pour ses fruits (figues), dont les qualités et les usages sont bien connus. Flowers: The complex inflorescence consists of a hollow fleshy structure called the syconium , which is lined with numerous unisexual flowers. The flower itself is not visible outwardly, as it blooms inside the infructescence. 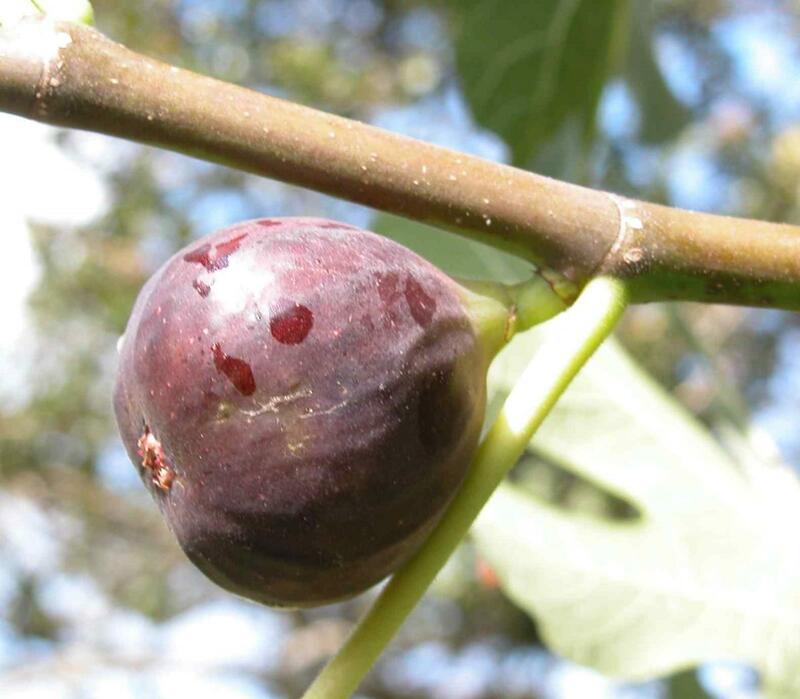 Although commonly referred to as a fruit, the fig is actually the infructescence or scion of the tree, known as a false fruit or multiple fruit , in which the flowers and seeds are borne. It is a hollow-ended stem containing many flowers. 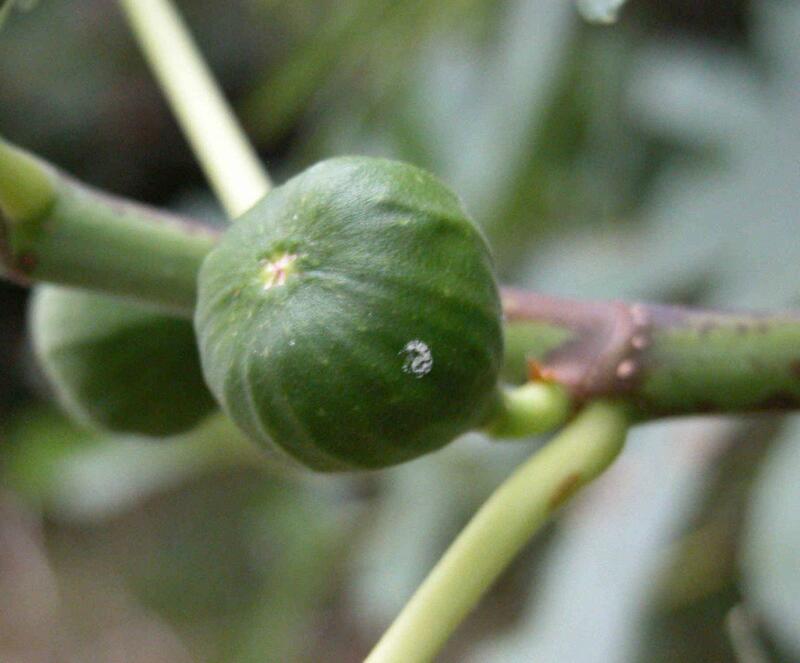 The small orifice visible on the middle of the fruit is a narrow passage, which allows the specialized fig wasp Blastophaga psenes to enter the fruit and pollinate the flower, whereafter the fruit grows seeds. 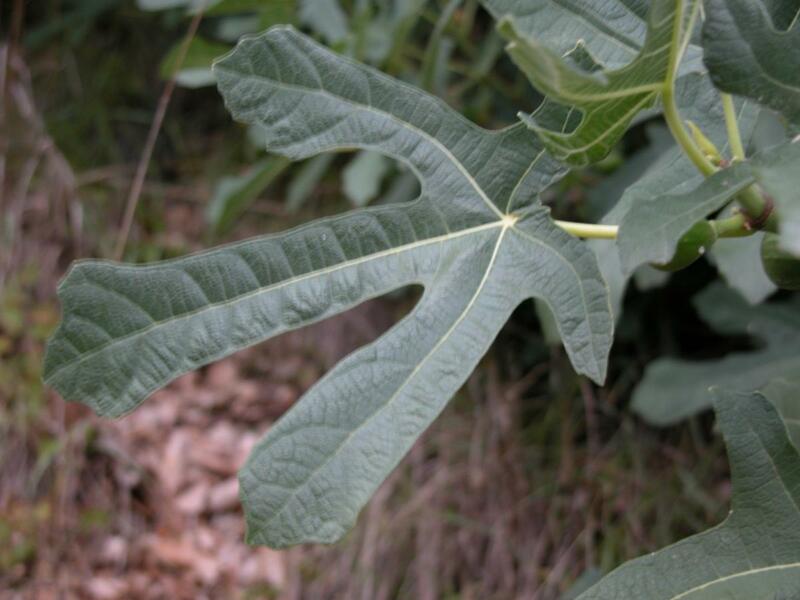 Leaves: Its fragrant leaves are 12-25 centimetres long and 10-18 centimetres across, and deeply lobed with three or five lobes. Fruit : très petits, drupacés, renfermés dans le réceptacle accrescent et à la fin caduc. Fruit: edible fruit consists of the mature syconium containing numerous one-seeded fruits The fruit is 3-5 centimetres long, with a green skin, sometimes ripening towards purple or brown.